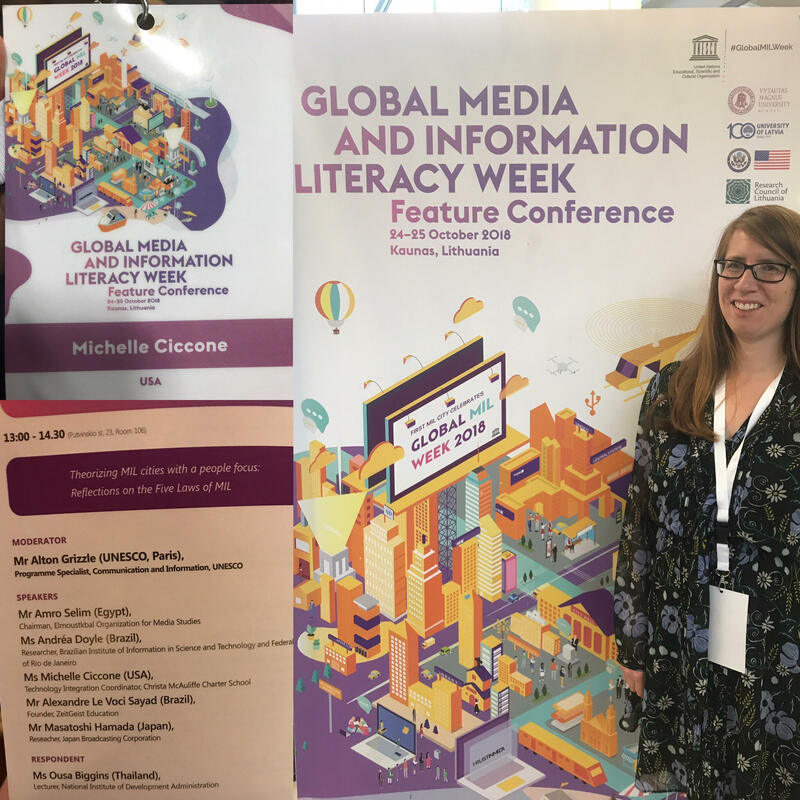 Last week, our own Michelle Ciccone, McAuliffe Technology Integration Specialist, was honored to attend and present at UNESCO’s Media and Information Literacy and Intercultural Dialogue conference in Kaunas, Lithuania. This year’s event focused on “smart cities.” As UNESCO described, “By helping everyone, through creative means, to develop the skills required to make the most of media, information and technology throughout their lifetimes. Media and Information Literacy (MIL) Cities enable citizens to make better use of the practical possibilities that a connected city and ever-flowing information can provide, engaging more creatively, critically and effectively in them.” You can find more information about the event here. Michelle presented what she does with McAuliffe scholars in our digital citizenship class: demystify the technologies we use everyday, and empowering scholars to think creatively and collaboratively about what our future can look like. She met researchers, practitioners, policy makers, and media professionals from around the world and was so proud to present what she does at McAuliffe with our scholars. You can find the slides from her presentation here. Michelle also enjoyed having the opportunity to visit Lithuania and Latvia for the first time. She saw beautiful architecture, ate delicious food, and learned some history too. She is looking forward to sharing what she learned with the McAuliffe community.